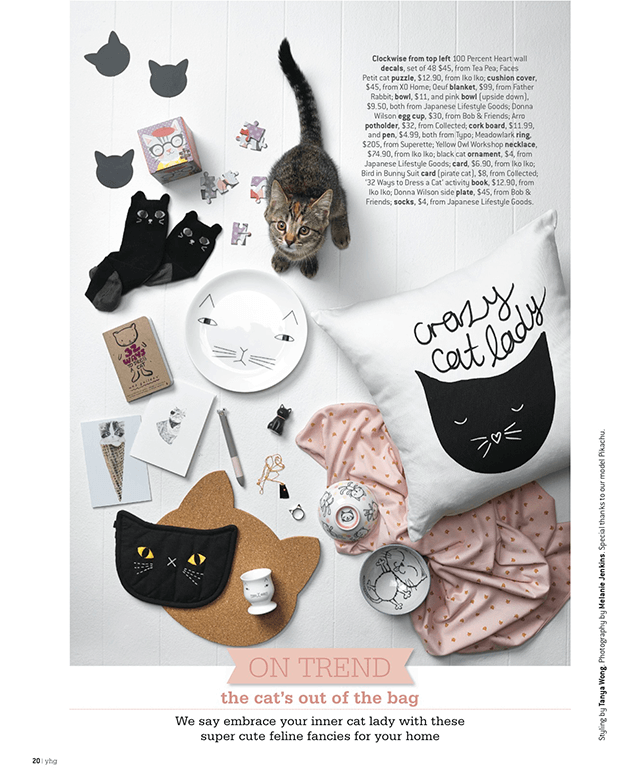 How gorgeous is this On-trend Crazy Cat feature in the June issue of New Zealand magazine ‘Your Home & Garden’?! We are obsessed. Shop our Crazy Cat Lady cushion in USD or ZAR.